Regular maintenance of your vehicle is essential to keep its running cost down and resale value high. At Singh’s Tyre and Auto Centre, we offer personalised car service and maintenance options to vehicle owners across Skye and the surrounding suburbs. 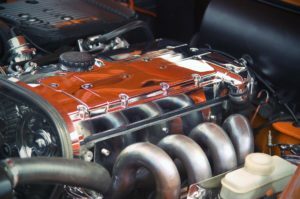 Using cutting edge diagnostic equipment, our professional car mechanic team will perform both minor and major car repairs on all makes and models. If you would like to sell your used vehicle in Victoria, you should get the vehicle inspected and obtain a roadworthy certificate. As a licensed vehicle tester, we will perform safety check on your vehicle and issue the certificate if it meets the safety standard set by VicRoads. Getting logbook service from an authorised car centre is essential to upkeep the statutory warranty. We service your vehicle using high-quality parts, ensuring that its manufacturer warranty is protected. To keep your air conditioning running efficiently, you should have it serviced every 12 months. Singh’s Tyre and Auto Centre provides a full range of air conditioning services including aircon regas, aircon leak test, aircon repair, aircon vent cleaning and much more. We stock a wide selection of budget and premium tyres for all makes and models at competitive prices. Besides providing tyres for sale, we can also help you with tyre replacement, flat tyre repairs, tyre rotation and other tyre services. If you realise that there is a need for car battery replacement for your vehicle, you can rely on our team to get the job done right. Our mechanics have hands on experience to get the car battery replaced in the shortest time possible. If you experience any difference with the handling or performance of your vehicle, bring it to us for wheel alignment services. Armed with the latest four wheel laser alignment equipment, our mechanics can set the wheels of your vehicle to the manufacturer recommended specifications. For more details on our car services, we welcome you to call us at (03) 9544 8854.